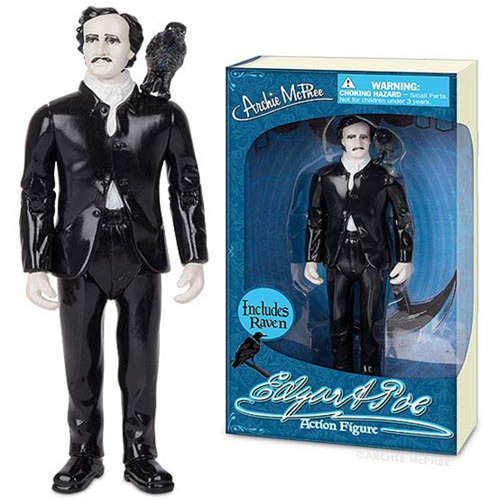 This Edgar Allan Poe Action Figure is the figure that lives in fear of being buried alive in your toy box! This 5 1/ 4-inch tall vinyl action figure includes a raven perched on his shoulder. To make the look even cooler, the Edgar Allan Poe Action Figure comes in an illustrated window box that looks, fittingly enough, like a book! Ages 12 and up.